Hi everyone, I'm finally back! Thanks to all of you who left comments on my last post; I really appreciated the suggestions :). I'll write about Paris (desserts!) in a future post, but right now I already seem to be behind after my two month break, so let me start off by sharing a cookie I baked back in June, at the beginning of the summer. 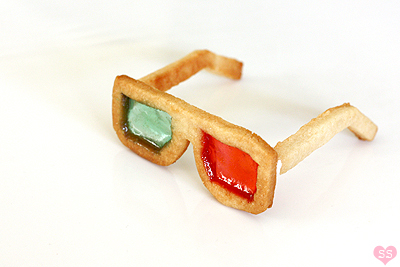 Stained Sunglasses Cookies, with cookie frames and candy lenses. They're a twist on the stained glass cookies that are made during the holiday season, adapted for summer. 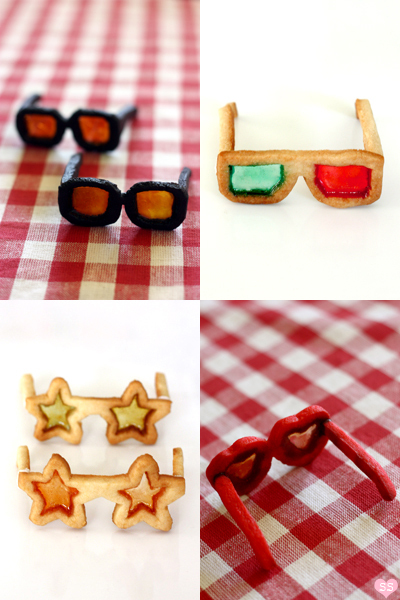 Colorful, crushed candy pieces melt to become lenses as the sunglasses frame cookies bake. 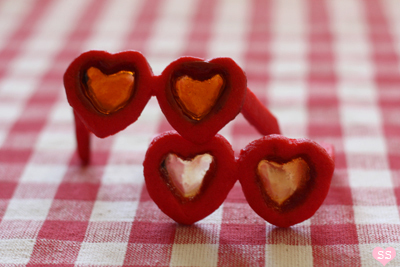 After cooling, the eyepieces are "glued" onto the frames with semisweet or white chocolate to finish off these playful, edible sunglasses. The fun part about these is how customizable they are. 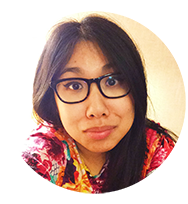 I used images of interesting sunglasses: red heart lenses, Lady Gaga's Mickey shades, funky star glasses, the popular oversized black lenses, trendy round shades, and even the old school 3D glasses for the patterns. 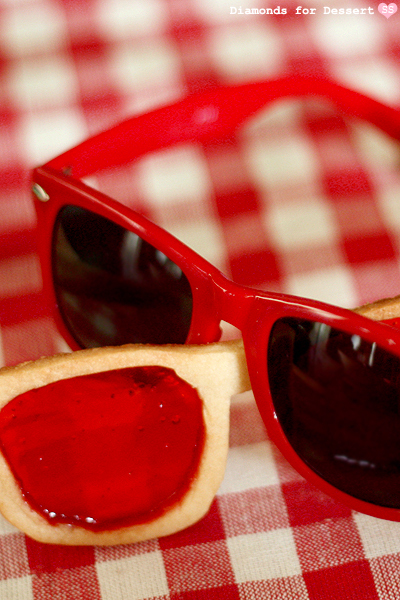 The dough can be dyed with food coloring to change the frame coloring, while an assortment of hard candy can vary the lens tinting. 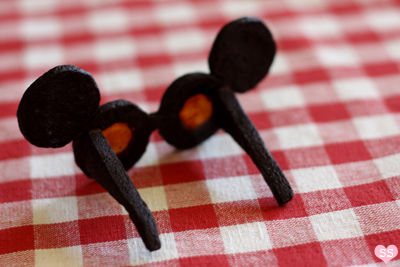 By the way, the larger actual sunglasses-sized cookies are actually easier to make than the smaller ones, but in the end, they're all worth it.